It is common for a child growing up in a Catholic home to know about Saints. [i] Many Catholic children are asked “to name that Saint”, or the most important question of all “what is your Confirmation name.” These questions take thinking and researching. There are times where researching a Saint can be almost impossible. According to Br. 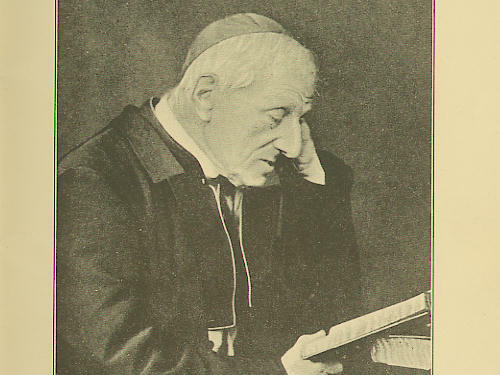 Anthony Zemenick, O.S.B., for some older Saints, “inspirational stories about acts of holiness and miracle stories were considered more important than historical facts, because the purpose of ancient and medieval hagiography was not to record historical data but to inspire the faith of the reader.”[ii] This can make research tedious when trying to find early life of certain Saints like St. Rita. St. Rita’s life is somewhat of a mystery. No one can accurately write about her life and be sure all of it is true. There are many scholars who have different views and research describing St. Rita’s life. Everything she did and went through in her difficult life with a time and place is hard to prove. The scholars only agree on a few things, and even these are debatable. St. Rita was born in Roccaporena, Italy in 1381. She was named “Margherita, of which Rita is the diminutive form.”[iii] In the book Bibliotheca Sanctorum, Rita is described as a gift sent from God to an old couple who had not been able to bear children. One miracle story about Rita’s youth tells of “a swarm of bees that were around her cradle as a baby and never stung her, and that was taken as a sign of being chosen by God.”[iv] This story is a hagiographical story describing one saintly characteristic St. Rita possessed as a child. This would have been worthy enough to be written down to prove later that she should be canonized a saint. 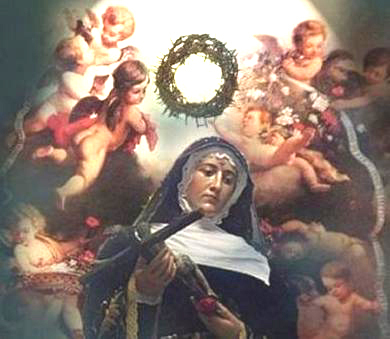 St. Rita at a young age decided she was called to be a nun at the Augustinian convent of Santa Maria Magdalena. When she revealed this to her parents she was told of the marriage they had already arranged for her. Alban Butler says that “she sorrowfully submitted, deeming that in obeying them she was fulfilling God’s will.”[v] In the Bibliotheca Sanctorum, scholars say she was engaged at 13 and married at 17, other sources say she could have been married at 12 others do not even mention at what age she was married. She married a brutal man, named Paolo Ferdinando Mancini, just to stay obedient to her parents. Joan Windham and Giorgio Capitani both believe St. Rita later lived a happier life with her husband. Her husband, Paolo, had a change of heart and they both moved to a house surrounded with nature. There they brought up their sons happily living their lives always finding time to sit around the fire to drink tea or, like in the movie, read the bible. Paulo took up another job and St. Rita made homemade jam and jelly and different medicines. Their lives stayed simple and less sinful until Paolo was murdered. Other sources do not know if Paulo had a complete change of heart and never speak of the family moving to raise children in a different place. No one truly knows who the murderer was; only that Paolo angered some one and paid the price. The two boys wanted to avenge their father’s death but God listened to St. Rita’s prayers and took the boys before they committed sin. After the death of her sons, St. Rita tried three times to enter the Monastery she felt called to. The reason they did not let her in the first time was because of the strict rule of having to be a virgin on entering the Monastery. The rule was overlooked the third time and St. Rita was finally allowed to enter and make vows. 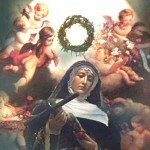 St. Rita always was fascinated by the sufferings of Jesus and in 1441 “while she knelt, absorbed in prayer, she became acutely conscious of pain-as of a thorn which had detached itself from the crucifix and embedded itself in her forehead.”[viii] This wound became offensive so she had to stay in her room away from the other sisters. 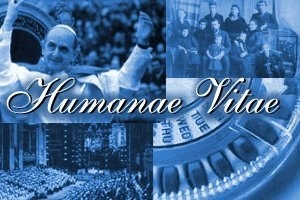 God healed the wound “for a season” so she could go to Rome during the year of jubilee in 1450. St. Rita has a small story to tell with many loose ends. Her life will forever be a mystery. The way she suffered will leave many in awe of her strength. She is the Saint of lost causes and will always be remembered for her patience and love. John J. Delaney, Dictionary of Saints. Garden City, New York: Double Day, 1980. Omer Englebert, “St. Rita.” The Lives of the Saints. Trans. Christopher Fremantle and Anne Fremantle. (Barnes & Noble, 1994), 198. 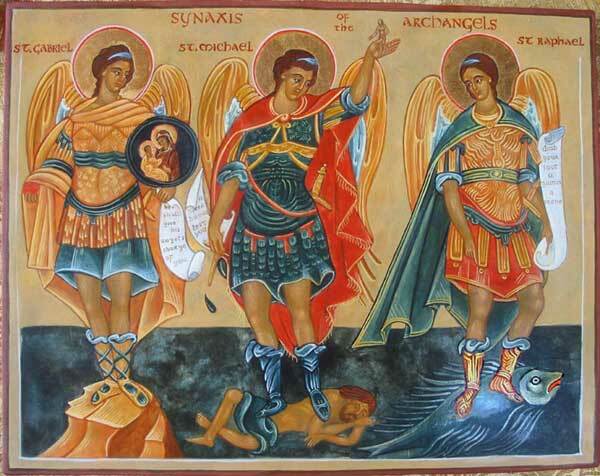 Annette Sandoval, The Directory of Saints: Concise Guide to Patron Saints. (New York: Dutton, 1996). “St. Rita.” New Catholic Encyclopedia. 2nd ed. (Detroit. Thomson/Gale, 2003), 255. [ii] Br. Anthony Zemenick, O.S.B. is a monk of the monastery in Norcia, Italy. He was kind to research St. Rita for me in local resources as Norcia is next to Cascia, where St. Rita lived. He communicated his findings in a personal E-mail to this author dated 5 December, 2012. Br. Zemenick largely quoted from the Biblioteca Sanctorum, Volume XI. (Citta’ Nuova Editrice, 1998), 212-214. Hereafter Zemenick. [v] Alban Butler, Herbert Thurston, and Donald Attwater (edits. ), “St. Rita of Cascia, Widow.” Butler’s Lives of the Saints. (Westminster, MD: Christian classics, 1990), 369. Hereafter Butler. [vi] Joan Windham, Sixty Saints for Girls; a Joan Windham Omnibus. (New York: Sheed & Ward, 1962), 322. Hereafter Windham followed by page number. [vii] Giorgio Capitani, Vittoria Belvedere, Martin Crewes. Saint Rita. 2007.